Hi, everyone! 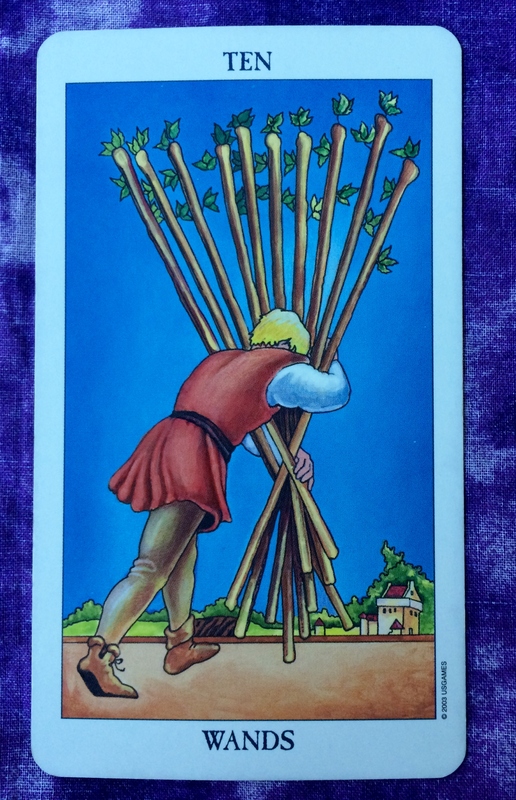 The Tarot card of the day is the Ten of Wands. Lately, many people have been feeling some combination of stress, heavy responsibility, and anxiety. 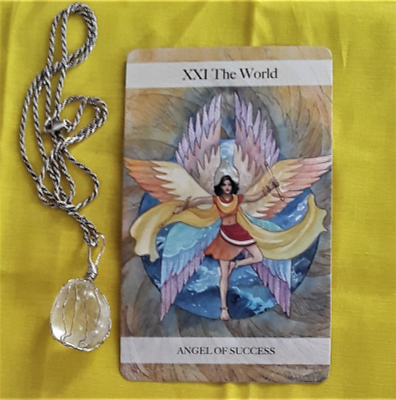 The message from the Ten of Wands is that this heavy feeling is about to ease up. Accept the fact that you can’t do everything all at once/all the time. Find balance in your life. Change your habits so that you are not overly busy. Ask for help when you need it. Once you slow down, you will realize that you are closer to your goal than you think.